Already have a water softener and love it, but wondering about how to care for it? Great! Looking into investing in a water softening system for your home or office? Great! This article is just what you need! Read on to discover just a few pros and cons about water softeners. The biggest benefit of having a water softener is that it takes care of the pesky issues that hard water can bring into your life. When your house runs on hard water, it typically requires you to use more soap when doing laundry, washing dishes, and even washing yourself. It is also very taxing on your plumbing system as the excess minerals in the hard water will build up in the water tanks, the pipes, and even on your sinks, tub, and toilet bowl. 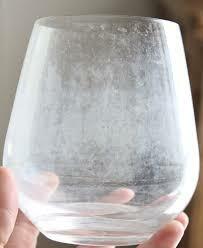 Hard water also affects the way your dishes look and sometimes smell, due to the scale that builds up on your dishes. That’s why some of your dishes might have a foggy or cloudy look to them. A water softening system will also be able to fix the problem of having stinky, gross water. In addition to all these benefits, soft water will also help you take better care of your skin and hair. The harsh concentration of minerals in hard water, can drastically dry out your skin and hair, causing your hair to break off easier and your skin to be itchy. 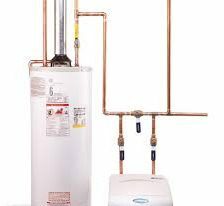 Water softeners often provide more cost efficiency, because less mineral buildup in the water tanks and pipes makes it easier for the water heater to properly meet your household‘s hot water needs. Reading all the benefits of water softeners might make you think they’re the coolest thing since sliced bread. They are pretty amazing, but there are cons to water softeners as well. The two biggest cons of investing in a water softener are cost and maintenance. 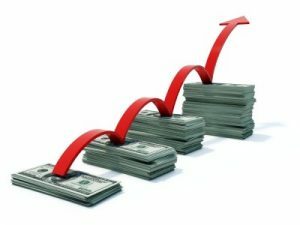 The initial cost for purchasing a water softener can range anywhere from a few hundred dollars to a few thousand dollars. Most water softeners are salt based, so not only are you buying the unit, but you will also have to continually purchase salt for the water softener. The most popular types of systems also require regular maintenance. You must flush the brine tank regularly to make sure you don’t end up with a salt bridge, which prevents the system from working properly. What’s even worse than a salt bridge? Salt mushing. No, that is not a made-up term. There is such a thing as salt mushing. That is what happens when the salt particles crystallize and make a salty sludge in the bottom of the brine tank. This sludge makes it impossible for the salt in the water to help regenerate the bottom of the brine tank and causes a blockage in your water system. Another con to having a water softener is the sodium it can add to your diet. While it’s true that salt-based water, softeners are not the only kind available, they are by far the most commonly installed. If you or someone in your household has a sodium restrictive diet, this is not the water softener for you. In our opinion, the pros far outweigh the cons. Water softeners are the best way to go, in spite of the potential drawbacks. But how do you find the best system for your home? Glad you asked! Whether you need help choosing a system or figuring out how to best care for the system you have, Knoxville Plumbing can help. We have experts in water softening systems who can help you decide what your best options are or if you even need a system. We can also help you learn how to care properly for the system you already have. We’re the go-to guys when it comes to water softening systems. Give us a call, today. Choosing a new water softener can be confusing. Don’t let the process tie you in knots! The bottom line: consider what would benefit your household the most. To help you get a handle on finding your new water softener system, we’ve put together a list of the most common water softeners and a brief explanation of their pros and cons. Happy reading! While it is commonly thought that salt-free water softeners remove hard water chemicals, that is not the case. This type of water softener changes the chemical composition of the magnesium and calcium in the water so that they won’t stick to surfaces. All that means is that you won’t have a residue buildup in pipes and lines, the walls of your hot water heater, and no “scales” on your dishes. 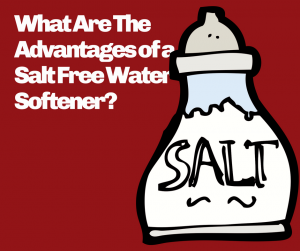 The “salt-free” water softener doesn’t “soften” one’s water, but rather “conditions” it. This option is more of a filtration system than a water-softening system. The AMT is less expensive than some other water softener options, including salt-based. It has an incredibly long-life expectancy of up to forty years. This would also be a great option for the household that needs to limit their daily sodium intake. While this option is considerably cheaper than its counterparts, unfortunately, it comes with a catch. An AMT doesn’t remove hard water chemicals, it just alters their composition, so they won’t leave as much “scale” effects on dishes. This option does not prevent buildup in water-using appliances where water stays for up to forty-eight hours, such as a hot water heater. There is also less scientific evidence that this method works efficiently and effectively. 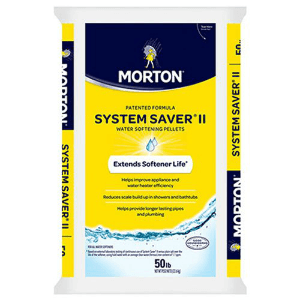 This water softener option uses the process of Ion Exchange, which removes the hard water chemicals magnesium and calcium from the water. During this process, the hard water chemicals are attracted to a negatively charged polymer resin bed, which is what removes them from the water supply. Those chemicals are replaced by positively charged sodium ions when salt is used to clean the water softener and regenerate the resin bed so that it can continue to do its job effectively. This option is the exact definition of what a water softener is. Tasteless water– some water supplies have a foul taste to them and adding a RO system might help to alleviate this problem. Tinted and/or Stinky Water– hard water minerals and even some impurities can cause a water supply to look murky and have an unpleasant smell. RO might help to fix this. This option is also considered more environmentally friendly than others since it doesn’t use chemicals in its process. Some reports say that this process can remove up to ninety-eight percent of water imperfections. RO can be a tricky system to use. For example, some reports find that consumers only had five to fifteen percent of usable water returned. The rest just washed down the drain. You can read more about reverse osmosis water softeners here. So, how do you decide? Ultimately, it is up to you, but Knoxville Water Treatment is here to help. Our experts in water softening systems can meet with you and help you determine what is best for your household. We’ll help you assess past concerns and issues, identify your specific household needs and get the water softener system that’s just right for you and your family. Give us a call today! Time to install a water softener? Bad taste & odor in water? Stains on sinks, tubs, & laundry? More scrubbing to get mineral deposits off faucets & shower heads? If you’re experiencing any of these problems it’s time to get your water tested. A water softener system is the most cost-effective way to correct hard water hassles. Once you’ve made the decision to install a water softener, you have some other choices to make. One choice will be the type of water softener you buy. Another will be how you will install the system. Many homeowners are comfortable with plumbing tasks and can do a DIY install. Others will want to enlist the services of a professional. Be sure to check with your local building codes. 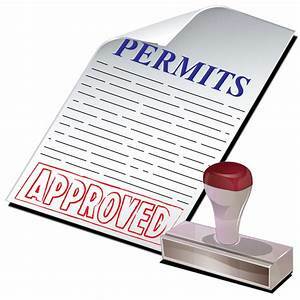 Some locations require permits for installation of water softener units. They may also require emergency by-pass or shut-off valves. Local code requirements may affect your choice of system. Once you have the permit issue clear, your next step is to choose which water softener system you want to install. 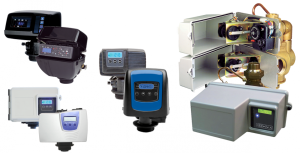 A multitude of online water softener sites provide an overload of information. You can get better information and more personal answers from your local water treatment service. We’ll help you evaluate your needs and get the best system for you. OK. You’ve gotten your permit and selected your system. Before you go to pick it up, or have it delivered, make sure you have the basic tools need to get the job done properly. Basic plumbing tools should be enough to get you started. Step 1: Shut off water to house. Find the shut-off valve (usually in your basement) and close it. Now, open the lowest valve in your house water line to drain all water from the inside pipes. Once pipes are drained, proceed to the next step. Step 2: Cut the main line. Use your pipe cutter to cut open the main water line where you’ve chosen to install your water softener. Step 3: Connect by-pass or shut-off valve. Follow manufacturer instructions to install the by-pass or shut-off valve. You should install this as a safety feature whether your local building codes require it or not. Step 4: Tie in to water supply. 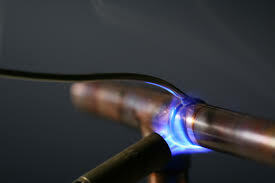 Use copper or flexible tubing and pipe fittings to connect water softener to main water supply. Connect drain hosing to unit and clamp it in place. Feed the end of hose near where it will drain. Be sure to leave about a two-inch gap to prevent any backwash from contaminating the system. Connect the large backflow hose to the brine tank. Refer to your manufacturer’s instructions for details. Turn the valve into the bypass position and flush water through to clear any debris or sediment in the tanks. If you own a salt-based system, add salt to the brine tank following your manufacturer’s instructions. Start by turning on a cold water tap somewhere in the house. Next, turn on the main line valve slowly until it is fully open. Plug your unit securely into the outlet. Follow manufacturer instructions to set timer on your system. Timer settings include time of day, hardness level of your water, and details related to the rinse and regeneration cycles of your individual model. THAT’S IT! Enjoy your new soft water!!! Knoxville Water Treatment knows that installing a water softener system requires a lot of work. If you have questions during your DIY installation, or if you decide you’d like a professional to do the job, give us a call today. We’re stocked with top-of-the-line water softener systems and offer free water testing. Get in touch today! In Part 1 of our series on water softeners, we discussed the effects of hard water on your pipes and appliances. 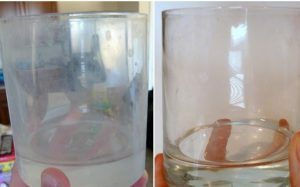 We also noted how hard water reduces the effectiveness of soap and detergents and leaves chalky-white streaks and spots on dishes. Of all the solutions we explored, water softeners provided the most efficient and cost-effective means of getting the unwanted minerals out of your hard water while still leaving it palatable. 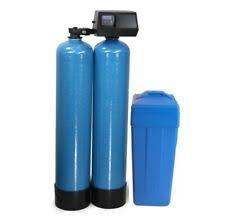 Three basic components comprise a water softener system. Mineral Tank-This is where the action is. The mineral tank constitutes the heart of the water softening system. It contains the resin beads necessary in the ion exchange process that removes calcium and magnesium from your hard water. Brine Tank-The brine tank holds an aqueous solution usually containing a very high concentration of sodium. 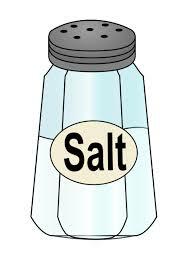 Sometimes the sodium is replaced with potassium, depending on the needs of the homeowner. The brine tank plays a key role in the regeneration cycle, which we’ll discuss in a later paragraph. Control Valve-This important component of the system determines when it is time to clean the resin beads that have been accumulating calcium and magnesium from the hard water flowing though the system. We’ll compare the different types of control valves and timers available in a later paragraph, also. Calcium and magnesium in hard water create lots of problems. Water softeners remove the calcium and magnesium from the hard water and replace them with a mineral that doesn’t cause scaling. The minerals trade places through a process known in chemistry as ion exchange. We’ll talk about the process in common terms, but for those interested in the science behind ion exchange we found a You Tube video and a website that give a great explanation. 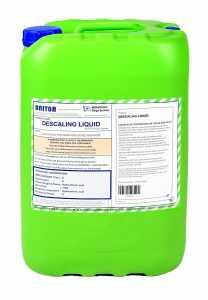 Ion exchange–trading scale-producing calcium and magnesium for non-scaling sodium or potassium. Polymer resin (like plastic beads) fill the mineral tank. These beads are covered with sodium or potassium ions. Hard water flows into the mineral tank. 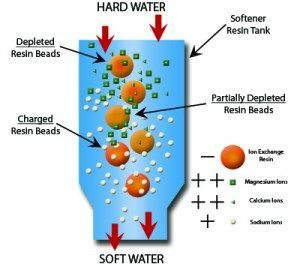 Because of their electrical charge, calcium and magnesium ions in the hard water attach to the negatively-charged resin beads. Sodium or potassium ions detach from resin beads and release into the water when calcium and magnesium attach. Softened water circulates back into the household supply. 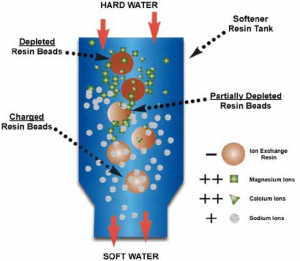 What happens when the resin beads “fill up” with calcium and magnesium ions? The control valve reverses the water flow. This removes all debris from the mineral tank and flushes it out the drain. In step 2, brine (very salty water) from the brine tank pumps into the mineral tank and flushes the resin beads. The high concentration of salt in the brine forces the calcium and magnesium ions to detach from the resin beads. Calcium and magnesium ions move back into the water. The salt (either sodium or potassium ions) then attaches to the resin beads. Finally, the salty water, now filled with calcium and magnesium ions, flows into the drain. Water softening resumes once recharging finishes. The mineral tank fills with hard water and ion exchange begins. When calcium and magnesium once more saturate the resin beads, the control valve initiates the regeneration process. As you can tell, the control valve manages the entire process. In order to make the best choice, you need to know what’s available for you. Homeowners have a choice of types of valves to use. Automatic water softener control valves fall into three categories. Some use an electric timer. The timer flushes and regenerates the water on a regular schedule regardless of the ion concentration. During the regeneration phase with this kind of timer, softened water is not available. Another type of timer uses a computer. The computer monitors how much water passes through the mineral tank. When the pre-determined volume of water is reached, the computer starts the regeneration process. Systems with a computer timer generally reserve resin beads. This means that some soft water is available during the regeneration phase. The third type of automatic timer uses a mechanical water meter. The water meter determines water usage. This means no water is wasted and the mineral tank recharges only when necessary. When you add second mineral tank to this system, you can have soft water even during recharging. Water softeners come in all shapes and sizes, but each one provides you with a simple solution to your hard water problems. Not sure what’s best for you? Give us a call. We have the water treatment experts who can determine the perfect system for you. Hard water is water that contains minerals. How do the minerals get into the water? As water flows through the ground it partially dissolves minerals through which it flows. Dissolved mineral particles, such as calcium and magnesium, then flow along, suspended in the water. Although calcium and magnesium are the most common minerals found in hard water, some water also contains ferrous iron, manganese, and hydrogen sulfide gas. 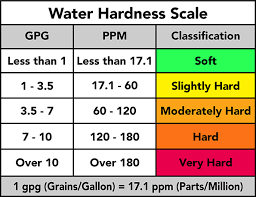 Water treatment experts measure the hardness of water based on how many grains of contaminant are found per gallon of water. Is Hard Water Really a Problem? Hard water can cause a number of problems. 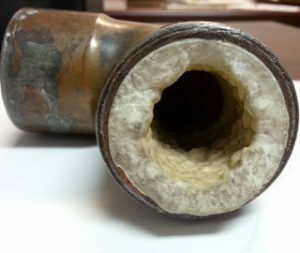 Chalk-like calcium and magnesium leave residue on the insides of pipes known as scaling. Scaling will eventually clog pipes and cause serious plumbing problems.These minerals also reduce the effectiveness of soaps and detergents. 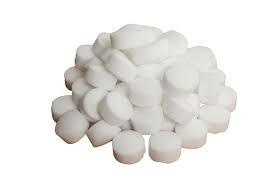 Calcium and magnesium prevent soap and detergent from dissolving completely. They also bond with the undissolved soap and detergent to form a sticky coagulated curd. This clumping of soap and detergent makes rinsing difficult. Hair washed in hard water eventually becomes dull and listless. Dishes, clothing, and even cars sport chalky-white streaks and spots. 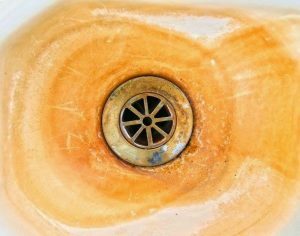 Ferrous iron creates the nasty-looking rust stains in your sinks and manganese, often found with ferrous iron, leaves even nastier-looking black stains. Sometimes hard water also contains hydrogen sulfide gas. You’ll know your water has this problem if it has that characteristic “rotten egg” smell. 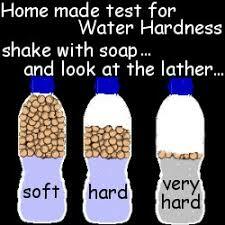 So, What Can You Do if You Have Hard Water? You can deal with your hard water issue in a few different ways. 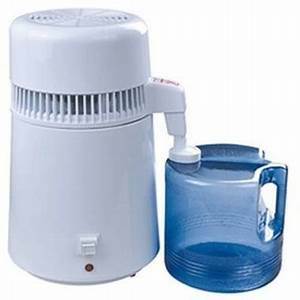 Filters: Some people choose to use home water distillation or reverse osmosis appliances. Others install water filters either under the sink or on the faucet. While distillation and water filters can improve the taste of drinking water, they are far too expensive to be practical solutions household-wide. 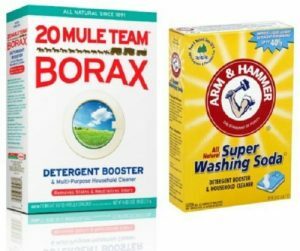 Additives: Powdered chemicals such as Borax and baking soda, prove useful in reducing hard water problems in laundry. Even so, they make water undrinkable. They can be harsh on clothing and sometimes contain phosphates harmful to the environment. These issues also make them a non-reliable solution for treating hard water on a large scale. 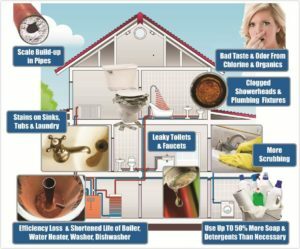 Descaling: Speaking of scale, descaling is another option many people choose for dealing with the damaging effects of hard water on pipes and fixtures. Descaling addresses the results of hard water on pipes, shower heads, and faucets. It uses industrial strength chemicals to “eat away” at the calcium, lime, and rust deposits. One problem with descaling is that once you add it into your main water line, you have to be sure to flush the whole system thoroughly before drinking water or bathing. The other problem is that the chemicals can also potentially cause corrosion to your pipes themselves. If you want to descale your pipes, your best bet is to call a professional. 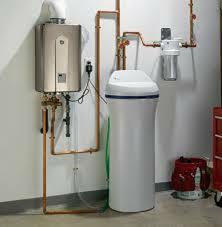 Water Softeners: By far the most popular method of dealing with hard water is a water softener. They use a process of removing damaging minerals from the water without adding any corrosive chemicals. Water softeners come in a variety of sizes and styles to fit any situation. Easy to use, water softeners provide demineralization on a large scale and are unquestionably the most cost-effective means of dealing with hard water. This DIY test may give you semi-accurate results, but if you want to know for sure how many and which kind of minerals are in your water, you need to get it tested. 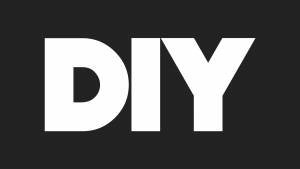 Hardware stores and many online stores sell test kits you can use to test your water. Of course, your plumber can provide the most accurate testing — for free. If you do have hard water, you definitely want to talk to your plumber about options for dealing with the situation. Water softening is the process of dealing with a hard water issue. “Hard water” is the term used when your water contains more minerals than is usual. Hard water is usually made noticeable by the way your shampoos and soaps do not dissolve in the water. This is because of the calcium and magnesium content. Water highly concentrated with calcium and magnesium can cause your pipes to clog and the inability to wash your hair adequately. It also, through clogging pipes, makes household appliance efficiency diminish such as in hot water heaters, washing machines, and any appliance water is sent through. This makes water softening important at home, but it’s also an applicable solution for certain industries. Having the right water supply, often a delicate balance of positive or negative ions, is important to breweries, water treatment facilities that make drinking water, soda companies, and more. The best solution for the problem is to install a water softener directly to the water supply coming from the outside well or street. 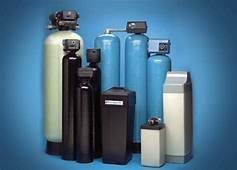 The water softener removes ions from the water, the positively charged calcium, magnesium, and sometimes iron as well. How does it work? 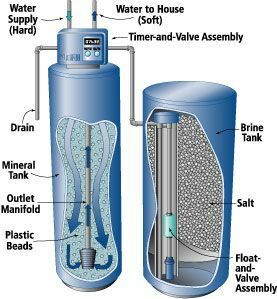 A water softener collects the hard water in what is called a conditioning tank where it meets an iron exchanger, a technology that removes the positively charged ions and replaces them with sodium and potassium salts. The water softener will also drain its waste. Water softeners can last you many years. A water softener installed in the 1980s may still work and only require the salt all water softeners require. There are 3 types of salt sold: rock salt, evaporated salt, and solar salt. Really the consideration for what type of salt you need to use will depend on the type of softener you have, how old it is, and how often you want or need to clean the technology. Salt level is kind of like keeping oil in your car. It needs to be filled half way at all times and should be checked monthly. How much does it cost? If you are replacing a water softener, you have a lot of options to choose from and you can pay a premium for new technology. Many water softeners are electric, but some now operate on water power. After you have a working water softener, the real operating cost is only the salt you need to put in it. The operating cost is likely less than 10 dollars per month. Is it safe to drink? Because only minerals that make the water hard are removed like calcium and magnesium, the water is usually perfectly safe to drink and may only contain 3% more salt than it did prior. All the elements you need to have in your drinking water will still be in it. If you have additional questions concerning your water softener or the use of one, you can call a trusted local water treatment professional for assistance. They can test your water and recommend any necessary adjustments or replacements so you can drink and use the best water possible for you, your family, your plumbing, and your appliances!